These images of VV 340 show X-ray data from Chandra and optical data from Hubble. 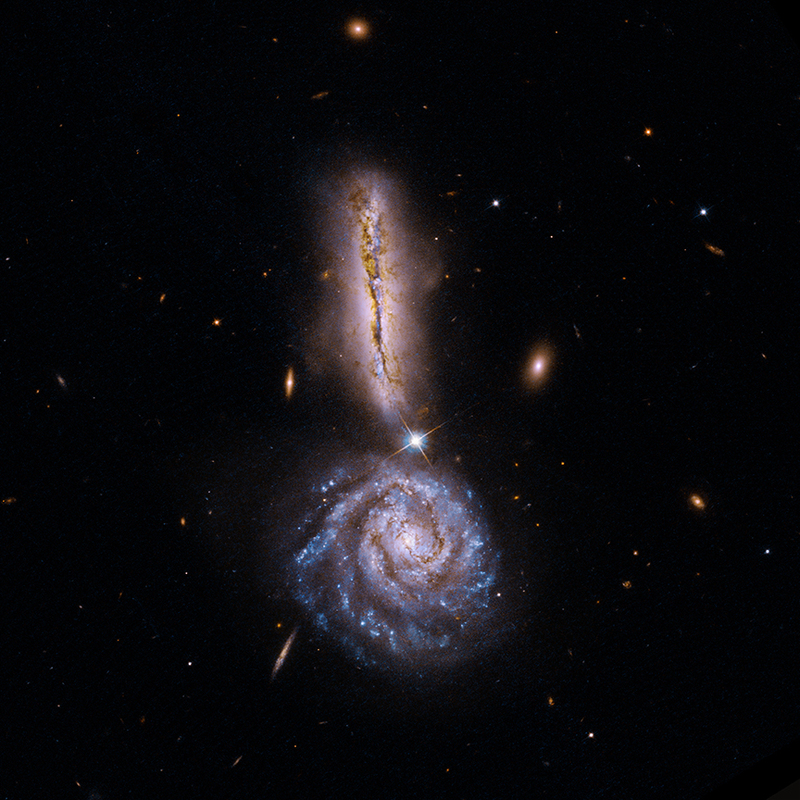 The two galaxies shown here are in the early stage of an interaction that will eventually lead to them merging in millions of years. The Chandra data shows that the northern galaxy contains a rapidly growing supermassive black hole that is heavily obscured by dust and gas. 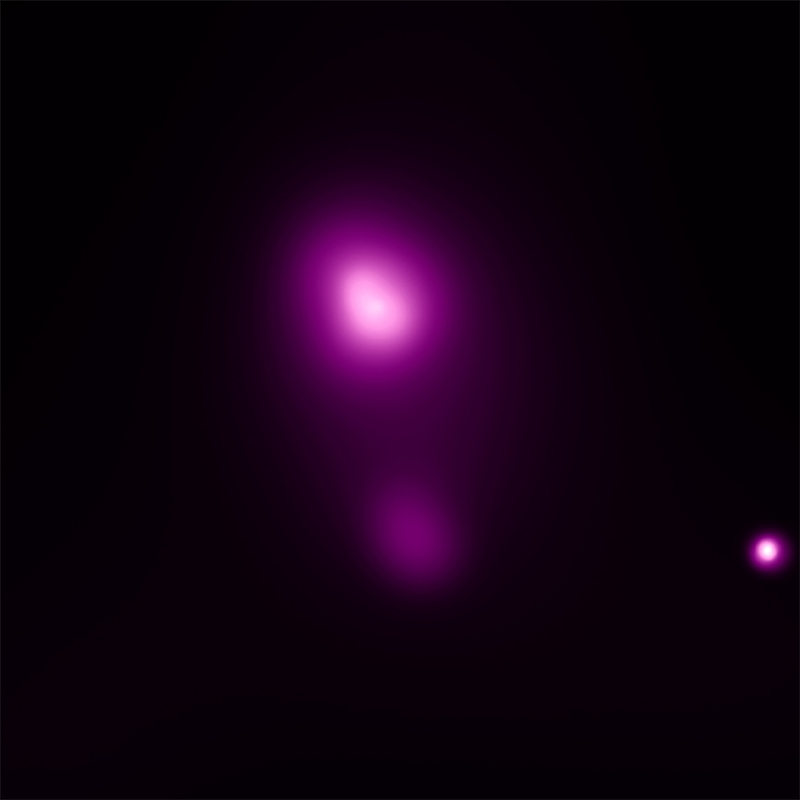 Data from other wavelengths shows that the two interacting galaxies are evolving at different rates. 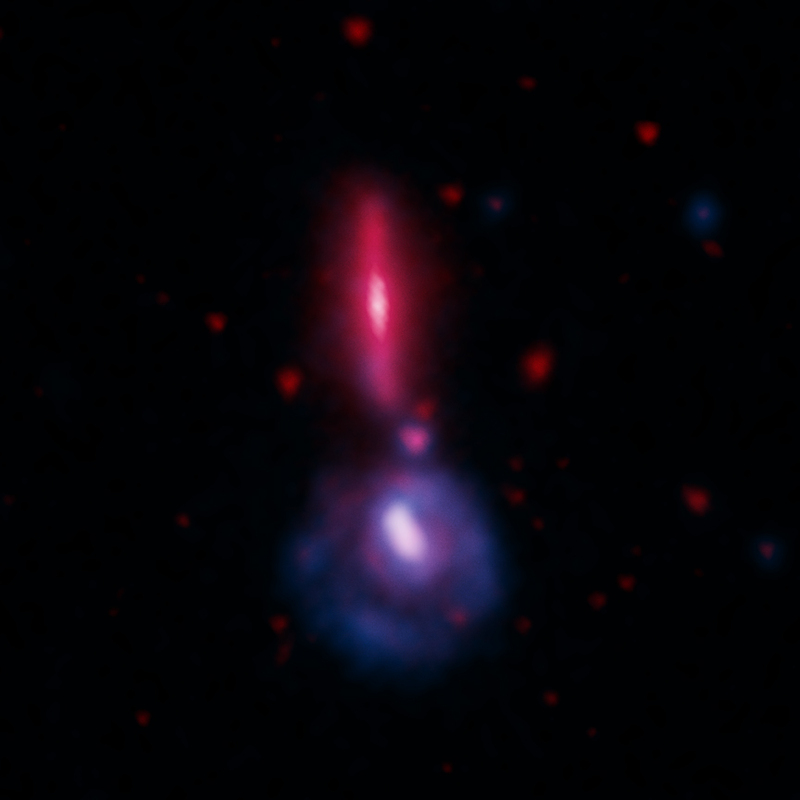 This composite image of VV 340 shows infrared data from NASA's Spitzer Space Telescope in red and ultraviolet data from NASA's Galaxy Evolution Explorer (GALEX) in blue. 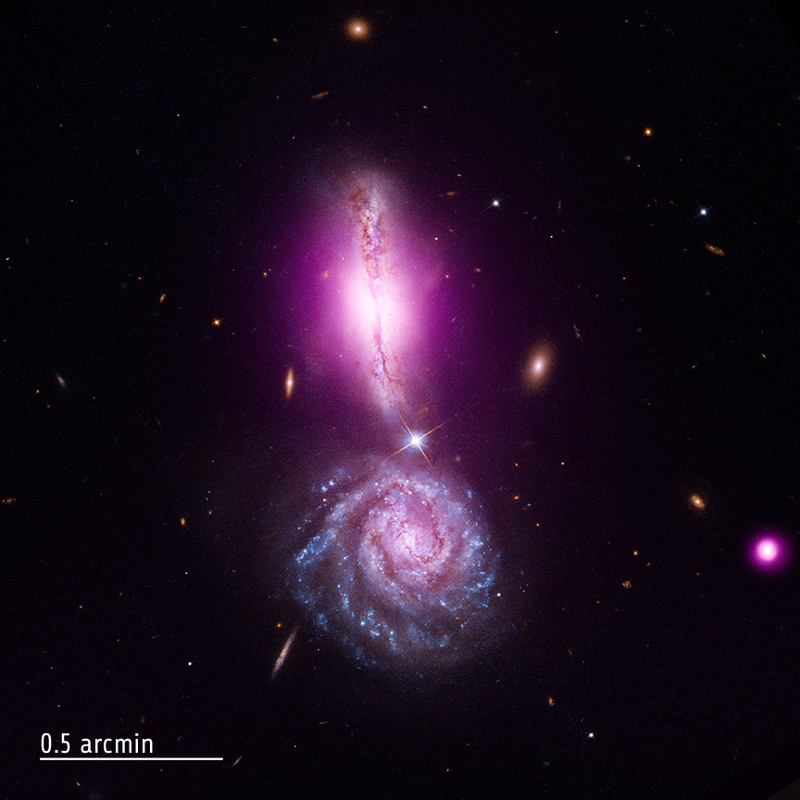 The northern galaxy dominates the infrared emission, while the southern galaxy dominates the ultraviolet emission, showing that this galaxy contains a much higher level of star formation.